Are your security and insurance policies aligned in your organization? Do you certain that you are not missing key procedures or policies that will be verified should an incident occur? Today, insurance carriers require certain measures to be in place in order for a policy to be issued and the existence of these will be verified after a claim is made. Responsible business owners should confirm that not only are they compliant but also covered for certain liabilities. General liability policies often exclude coverage of certain events, especially if they involve the use of a firearm or other force. If an institution gets this wrong, the liability on the owners and management can be significant. No business is immune from risk, but effective risk management can mitigate threats. Your people should be your main concern. Organizations that invest in higher standards of safety and security show a commitment to their employees, clients, and students and a better understanding of potential litigation. Prevent what you can, manage issues should one occur, and safely maintain business operations when possible. Our Windom consultants will be with you through it all. 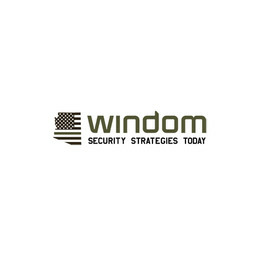 Windom Security Strategies Today has a long history of effective crisis management, both overseas and domestic, during military and intelligence operations. Stateside, our founder held the position as Deputy Manager for Crisis Recovery for the 2008 Phoenix Superbowl and FBI Crisis Manager for both San Juan and Phoenix offices, appointed by the Secretary of Homeland Security. In other words, we have the experience to handle any size crisis for your school or business.